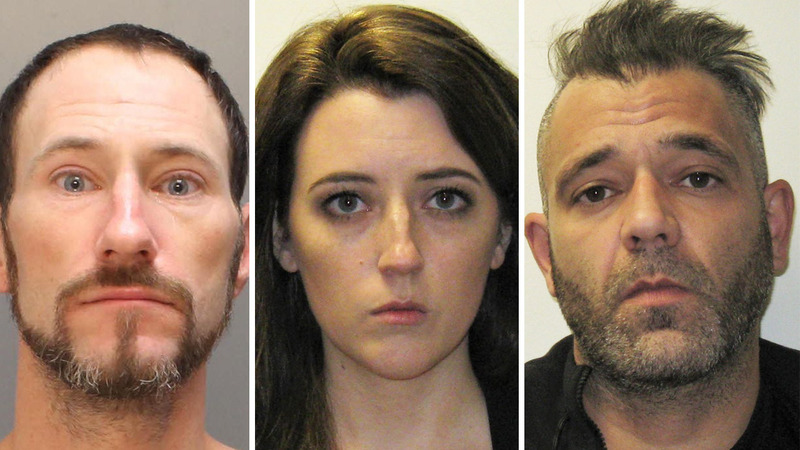 CAMDEN, N.J. -- A homeless veteran pleaded guilty Wednesday in New Jersey federal court to conspiring with a woman and her then-boyfriend to concoct a feel-good story that helped raise hundreds of thousands of dollars from a GoFundMe campaign. The veteran, Johnny Bobbitt, 36, pleaded guilty to one count of conspiracy to commit money laundering. The woman, Kate McClure, 28, pleaded guilty to one count of conspiracy to commit wire fraud. Bobbitt, McClure, and her then-boyfriend Mark D'Amico, who still all face state charges in Burlington County, New Jersey, were accused of fabricating a feel-good story about Bobbitt coming to McClure's aid when she ran out of gas along the highway and gave her his last $20. In November 2017, McClure and D'Amico allegedly created a page on GoFundMe's website detailing how Bobbitt acted as a "good Samaritan" and rescued McClure. The website said that any donated funds would be used to get Bobbitt off the street and provide him with living expenses. The couple set a goal of $10,000. But in truth, McClure's entire story was bogus and Bobbitt never spent "his last $20" helping McClure, prosecutors said. Instead, McClure and D'Amico allegedly conspired to create the false story, authorities said. After the story went viral, approximately $400,000 was donated from more than 14,000 donors in just a matter of weeks, officials said. Bobbitt was informed of the scheme in mid-November 2017, when the donations had reached approximately $1,500, officials said. The following month, McClure and D'Amico deposited $25,000 of the proceeds into Bobbitt's account, authorities said. While all of the money was supposedly going to help Bobbitt, prosecutors said the majority of the donated funds was allegedly spent, very quickly, by D'Amico and McClure on personal expenses including purchasing a BMW, expensive handbags, vacations and other personal items. McClure faces up to 20 years in prison and a $250,000 fine. Her sentencing is scheduled for June 19. Bobbitt could be sentenced to a maximum of 10 years in prison. He will be sentenced at a later date, prosecutors said. Bobbitt will appear in drug court in Mount Holly on Friday related to the state charges for this incident. The guilty pleas in federal court do not impact the case out of Burlington County, a spokesman for the prosecutor's office said. McClure, D'Amico and Bobbitt have all plead not guilty to the state charges against them.